Local residents can now seek treatment for teeth whitening in Kingsville, TX with Dr. Tilman Richards. To remove the stains and discoloration that cling to teeth, Dr. Richards offers two effective, morale building tooth whitening methods to his cosmetic dentistry patients. Dr. Tilman Richards is pleased to announce that he is expanding his geographical practice area to include teeth whitening for Kingsville patients. People often feel self-conscious about their discolored or stained teeth and refuse to smile. Dr. Richards can perform this popular, fast, and effective cosmetic dentistry service in just one hour, restoring patients’ confidence in their smiles in a transformative way that can also boost their self esteem. Tooth discoloration can be caused by a variety of factors. Stains are often left on the teeth by drinks, such as coffee, wine, tea, and soda. Discoloration can also result from the foods that patients ingest, including berries and certain spices, such as curry. Poor oral hygiene, genetics, and certain medications can also be part of the root cause of tooth discoloration. To remove these stains and whiten teeth, Dr. Richards recommends in office teeth whitening for Kingsville patients. During a whitening procedure, the clinician applies a pharmaceutical grade whitening agent to the teeth to help break down the stains and remove the discoloration. The process is accelerated using a specially designed laser. If in office whitening is not possible, patients can also benefit from tray based systems. These are ideal for patients who prefer to whiten their teeth in the comfort of their own home. Using trays that Dr. Richards has customized to fit each patient’s teeth, individuals use the pharmaceutical grade whitening agent as recommended to brighten their teeth and reduce stains. Both cosmetic dentistry options result in a significantly whiter smile. Employing a professional who is skilled in cosmetic dentistry to perform teeth whitening in Kingsville is a preferred option for local patients. Store bought products are less effective than dentist whitening systems because over the counter kits are significantly less powerful. The active ingredient in whitening systems is carbamide peroxide. Dentist provided whitening agents contain 15 to 43 percent carbamide peroxide while store bought agents contain a maximum of 10 percent of the active ingredient. Additionally, dentists will cover the gums with a special material to protect them during a whitening procedure, a necessity that is not provided in any store bought box. Patients who wish to have a more effective cosmetic dentistry experience can contact Dr. Richards’ office for more information on his tooth whitening systems. Tilman Richards, DDS is a general dentist who has provided patients personalized dental care in Corpus Christi, TX since 1984. Dr. Richards graduated with honors from Sam Houston State University with a Bachelor of Science in Biology, and he attended Baylor Dental School in Dallas where he received his degree as a Doctor of Dental Surgery. 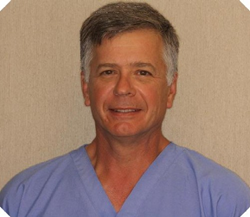 He is also a member of the American Dental Association, Texas Dental Association, and Nueces Valley District Dental Society. Dr. Richards is part of one percent of dental professionals providing the LANAP® FDA cleared laser procedure for gum disease treatment. To learn more about Tilman Richards, DDS and his dental services, visit his website at http://www.corpus-christi-dentist.com and call (361) 238-2373.